Department of Art | FSU Art Alum, Ken Vallario: Occupy Artist – Story of my arrest. Home » FSU Art Alum, Ken Vallario: Occupy Artist – Story of my arrest. FSU Art Alum, Ken Vallario: Occupy Artist – Story of my arrest. 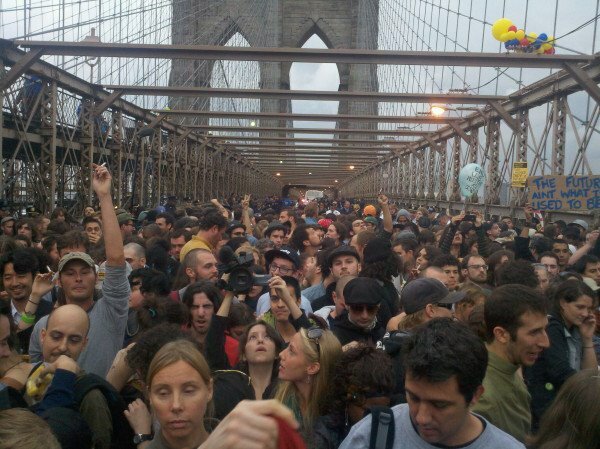 I just wanted to share the story of my arrest as one of the over 700 people on the Brooklyn Bridge as part of the Occupy Wall Street Movement. I would not be the activist I am today if it were not for the influence of Ed Love, and his passion for justice and sincerity. I would also like to thank Carolyn Henne for her outreach efforts and her attempts to nurture a sense of community.